Every structure/space in this cosmos has a subtle but highly powerful energy dimension attached to it. The divine architectural science of Vastu dispels the negative energies from a structure/space and attract positive ones. By making your factory space Vastu compliant, you can witness an unprecedented growth in your profits. Hence, we urge you to book a Vastu consultation visit for your Small Factory by Arun Bansal who is a well known & highly respected Vastu Expert. It offers a through analysis of your factory space on the principles of Vastu "Shastra". Recommendation of ideal Vastu places in the factory for doing manufacturing/packaging. It charges the factory space with prosperous energies. Making the factory Vastu compliant, ensures abundance in business orders. 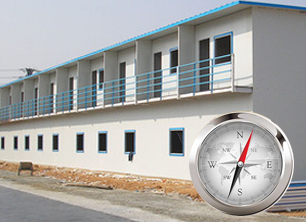 Vastu compliant factory spaces promote good decision making. People doing business in a Vastu compliant factory space are never harmed by regulatory hurdles.